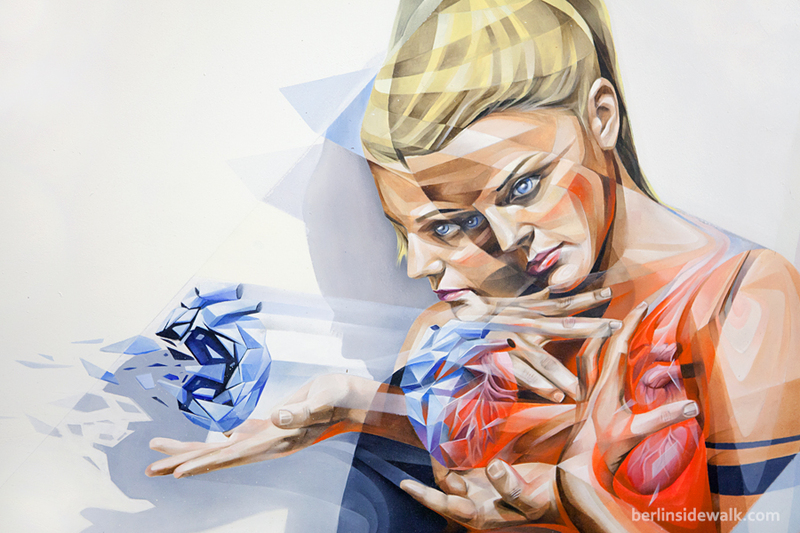 Urban artists and galleries from around the world came together to exhibit their works at the STROKE.ArtFair, which took place in Berlin last week/end. From painting to streetart, graffiti, illustration, comic or photography, everything was represented, the STROKE sees itself as a revolutionary art fair, with art for the 21th century. 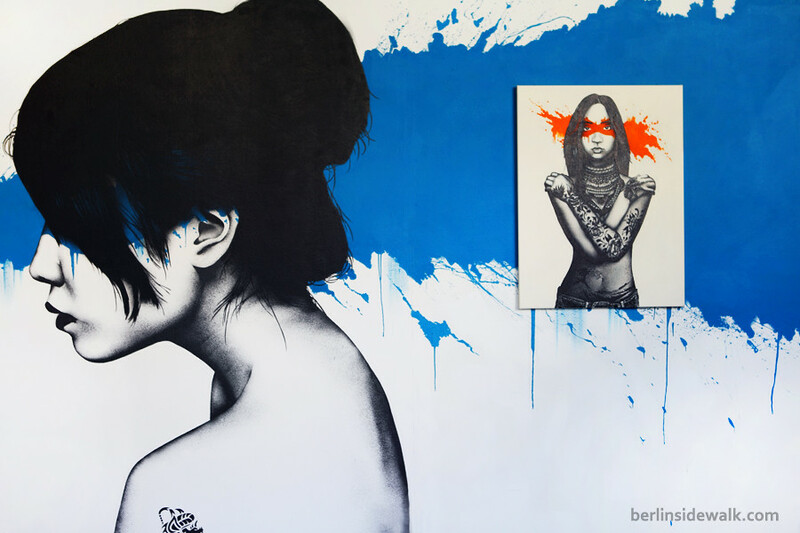 The Street artists FinDac, Belin, Inti and Shaka decorated the wall which surrounds the YAAM, the Young African Art Market (Stralauer Platz 35), with some amazing Murals, during their visit in Berlin in 2012. But since the YAAM has to move to a different location, to make place for another big construction project, it’s not quite sure how long the wall (and the murals) will remain. 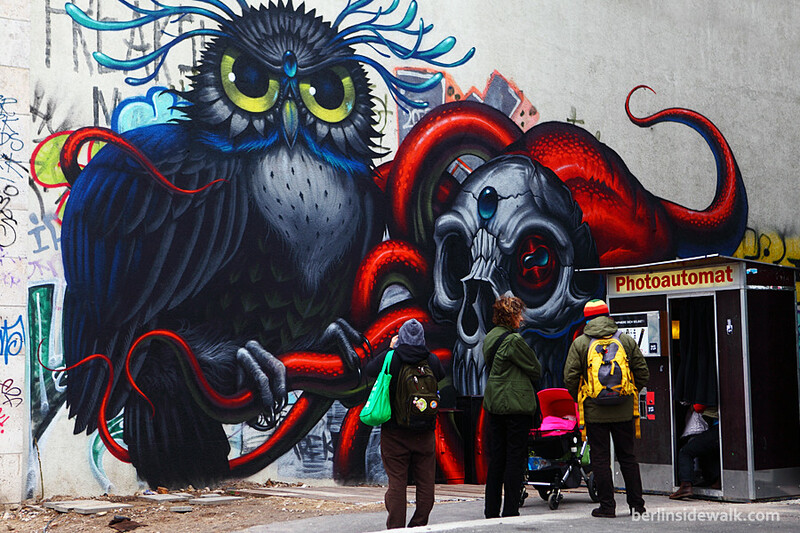 The American artists and muralists Jeff Soto and Maxx242 visited Berlin during the Pictoplasma this month, to create a huge mural on an empty wall right beside the Kunsthalle Platoon, after speaking and participating at a conference and the festival celebrating character design. 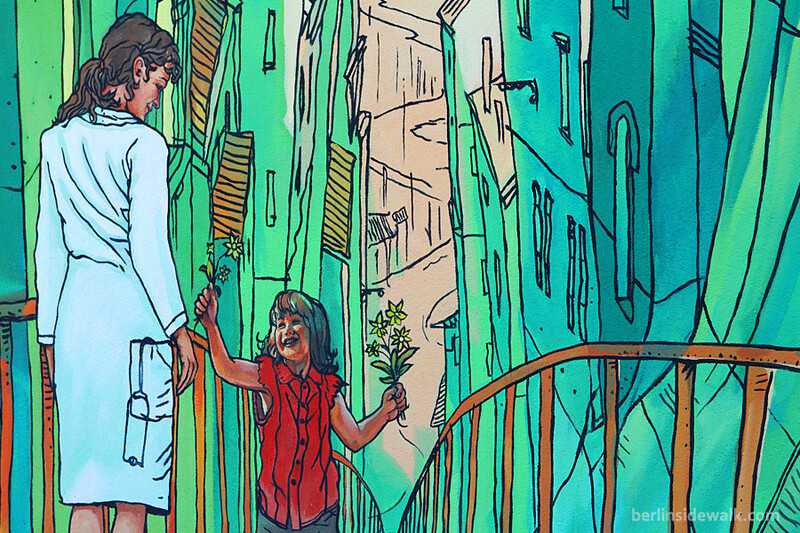 The french artist group Citè Crèation is well known around the world, in Berlin, they’ve created the Solar Flytrap mural I wrote about last year. But not only that, they also painted 3 other houses located directly at the Sonnenallee, house numbers 207-209. STROKE N°7 took place in Berlin, artists from Germany, Austria, Switzerland, Italy, Mexico, Spain and many more countries around the world joined their forces to represent Urban Art as an emerging global postmodern art development without any attitudes or academic prejudices. 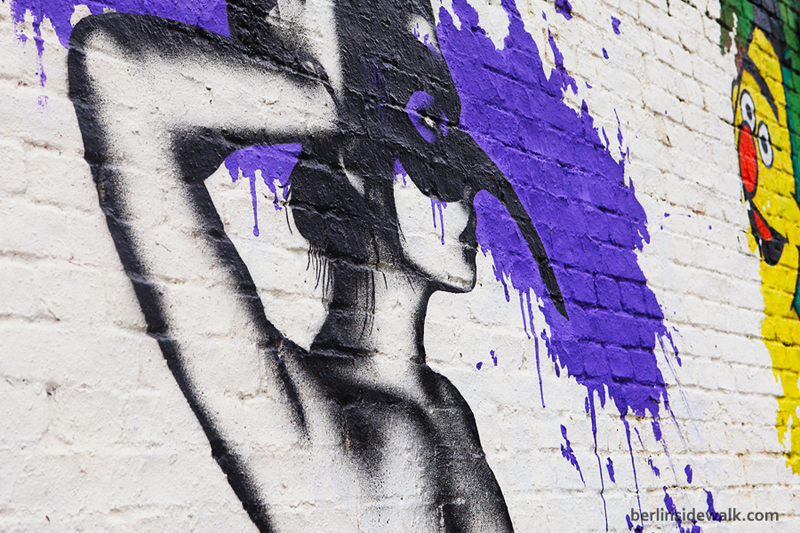 From painting to streetart, graffiti, illustration or photography the URBAN ART FAIR represented finest in Urban Art. 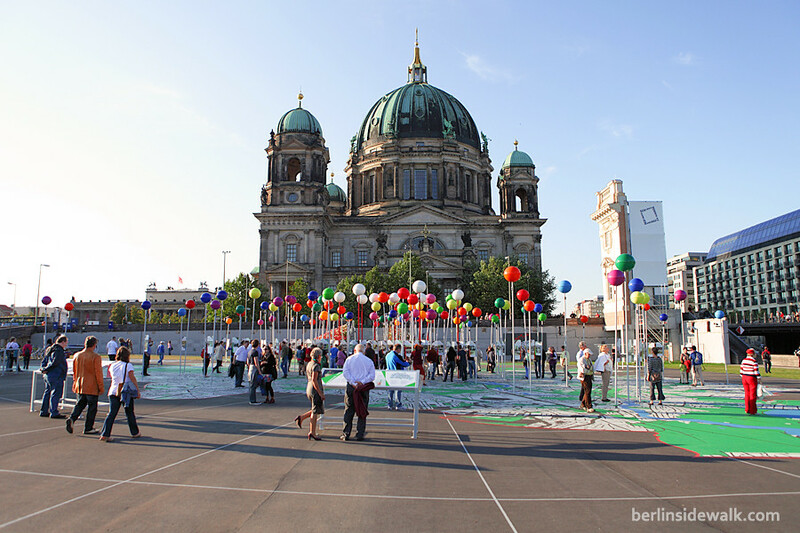 The young international art scene came to Berlin to celebrate the capitals reputation as electric breeding ground for young emerging art and its corresponding lifestyle. New this year, ANIMAX and URBAN ART FAIR cooperated and brought the aesthetics of anime “on stage” during the fair. 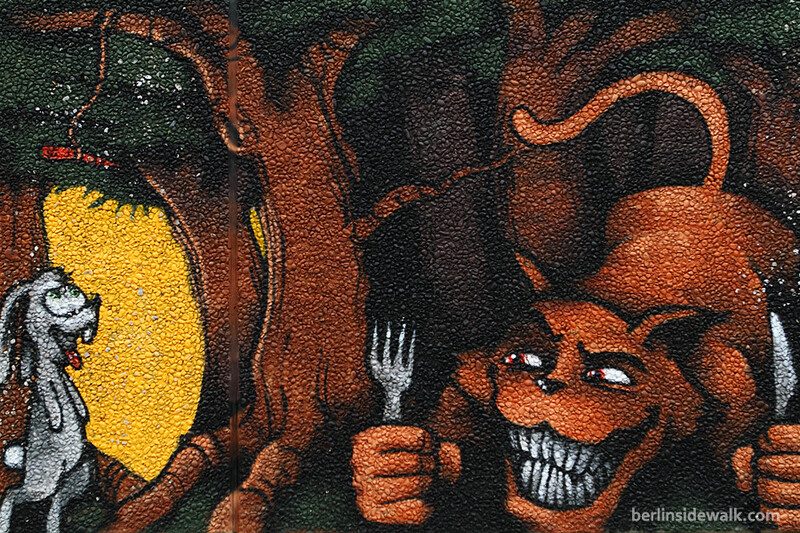 The Mural called Märchenwald (Enchanted Forest) can be seen in Neukölln, Treptower Street. It was painted by the street artist MooDy in 2008. 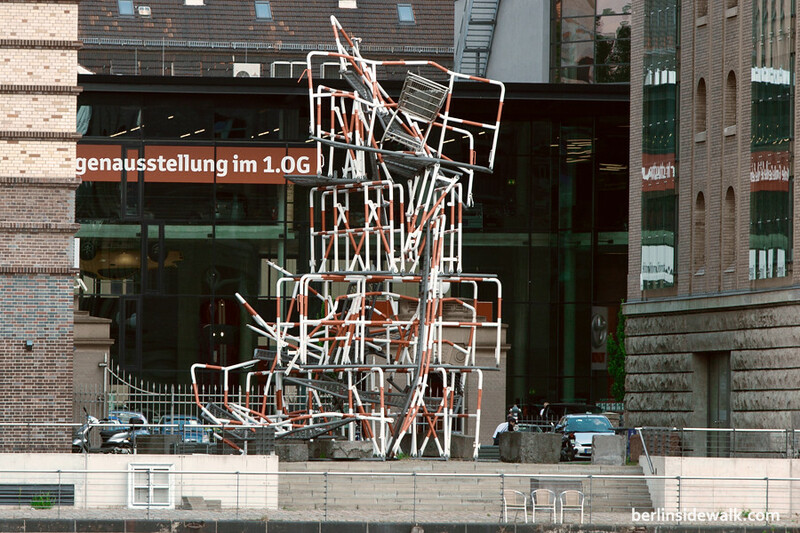 Another abstract sculpture can be seen beside the Universal Music Headquarters in Berlin, a chaotic arrangement of crowd control barriers (which were highly charged symbolically in the turbulent inner-political atmosphere of the former West Berlin) with a shopping cart on the top. The sculpture, named 13.4.1981, was designed by Olaf Metzel in 1987 as part of Berlin’s 750th anniversary celebration called “Sculpture Boulevard” and was first erected at the crossing Kurfürstendamm / Joachimstaler Platz, six years after a violent demonstration took place at precisely the same crossing. The Christian Democrat mayor at the time, Eberhard Diepgen, declared the work to be “a pile of junk” and called for an immediate removal. Then, after 14 years, the sculpture was erected again, but this time beside the Universal Music Headquarters, with a wonderful look on the Spree. 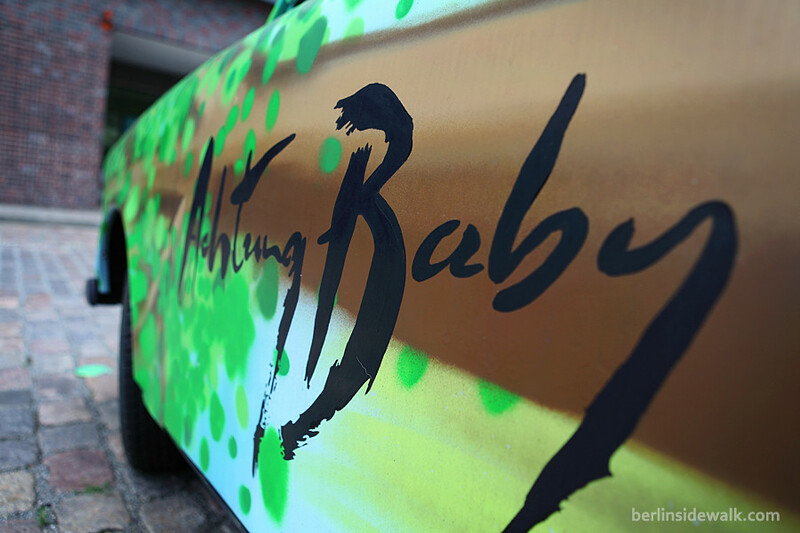 On December 31st 2011, the Irish rock band U2 released an anniversary edition of their 1991 released Album, “Achtung Baby”, back then, the cover showed 16 pictures, one of them was a Trabant, a car only used in former East Berlin (GDR), as a symbol of a changing Europe. Also, a Trabant was used during their Zoo TV Tour, which now, stands at the Hard Rock Café in Berlin. As part of the 20th Anniversary, six of those Trabants were creatively painted and shipped to different cities in Germany. One of those six can be seen in front of the Universal Music Headquarters (near Oberbaum Bridge) in Berlin. 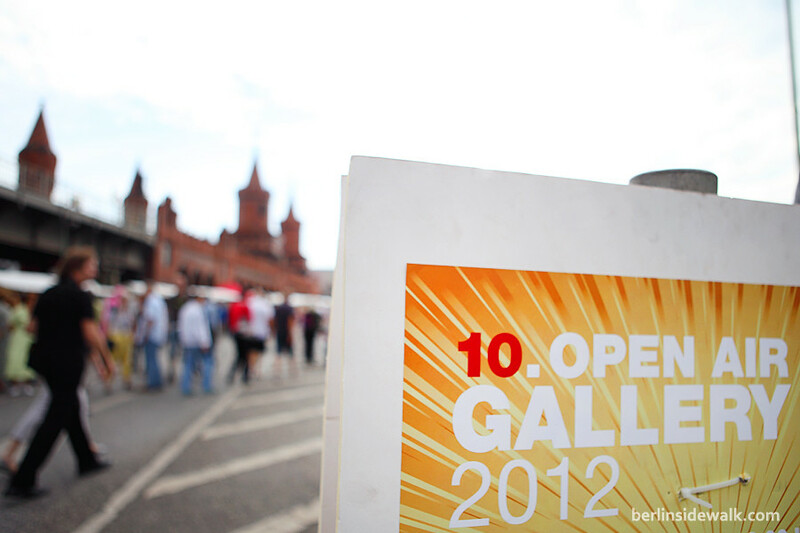 Every year, the Oberbaum Bridge, which connects Berlin’s districts Friedrichshain and Kreuzberg over the Spree, becomes a meeting place for artists and those interested in art. Yesterday, over 100 national and international artists exhibited their works, ranging from established painters, sculptors and photographers to the less well known.